Validation of all inward cheque. Any other duties that may be assigned from time to time by supervisor. To Ensure all inward cheque and eft are posted to customers account correctly and timely. To perform validation for all inward cheques and call back for cheques above one million but not exceeding five million TZS and one thousand USD but not exceeding three thousands. Ensure all quick pay files received from customers are process and make sure relative charges are collected. Preparing settlement vouchers, posting entries correctly, reporting all rejected cheques and eft for action. Authority is the power to make REPUTATIONAL or MONETARY decisions about the operations, payments, represent the Bank to third parties, enter into any obligation on behalf of KCB. RP = Reputational: This is common for documents going to 3rd parties outside the Bank but contain no monetary value EXAMPLES: Letter of introduction, Letter of explanation of facts, letter of correction (e.g. disciplinary). FN: Final, RC = Recommender. To oversee all inward and outward instruments (cheques and eft’s) are passed/ credited customers’ accounts on the same day without delay. Validate of all outwards cheques before sending file to BOT to validate if they are all balanced. Conducts call backs to all inwards cheques above 1. Sending clearing files to BOT for clearance. Create new customers in Quick Pay as well as processing Quack Pay files. To ensure all received cheque book order sent to branches within time. To insure all unpaid cheques were send to branches for Pay/No Pay decisions. To perform call back and validation for all inward cheques above one million but and to USD above one million. Checking of posting for verifying that all exceptional items are gone through. Unpay cheques for funds and technical reasons. Ensure all assigned Nostro accounts are reconciled on a daily basis with proper details of all outstanding transaction narrated. Conduct a periodic reconciliation of assigned GL suspense and ensure proper details narrated for outstanding entries. Follow up of timely clearance of outstanding transactions within 7 days. Ensure reconciliation statements are countersigned by supervisors. Produce periodical reports to the management on status of reconciliations. Verify the genuineness of outstanding transactions by requesting copies of vouchers of relatively large amounts. Monitor movements for assigned GL suspense accounts and request clarifications from an originator of the transaction. Any other duties that may be assigned from time to time by your supervisor. Maintenance of Bank assets register for assigned categories and ensuring balances agree with GL. Check outstanding entries in Nostro accounts that relate to operations i.e. swift, trade, and clearing. • Trade Finance deal origination, structuring and follow up to closure. • Marketing and market intelligence, directly and in partnership with Corporate Relationship Managers Retail SME Business Team and Sahil Banking team. • Providing expert advice and support to our Clients and Relationship Teams on trade finance products and transactions. • Providing technical support to Trade Services (Operations) Team. • Growth and development of trade finance business in the Country. • Building and maintaining strong trade customer relationships through excellent customer service in order to achieve customer loyalty and maximize share of wallet. • Trade finance product and process innovation in consultation with the Trade Finance Operation Team and Group shared Services. • Trade Finance product training for KCB business teams through branch visits, participation in workshops and joint customer calls, among other avenues. • Creation and development of business opportunities through participation in trade forums/conferences and other channels. • Follow up and closely monitoring trade revenue on each trade Finance transaction booked. • Attending to customer enquiries relating to Trade Finance and timely closure of the same. Analytical thinking and decision making. Be a dependable person that goes the extra mile. Strong qualities –visionary, honest and personal integrity. • Develop digital communications Strategy through existing digital platforms. • Identify current and future digital marketing & business development trends, devising proactive plans to exploit and manage emerging business trends and advise on new communication opportunities. 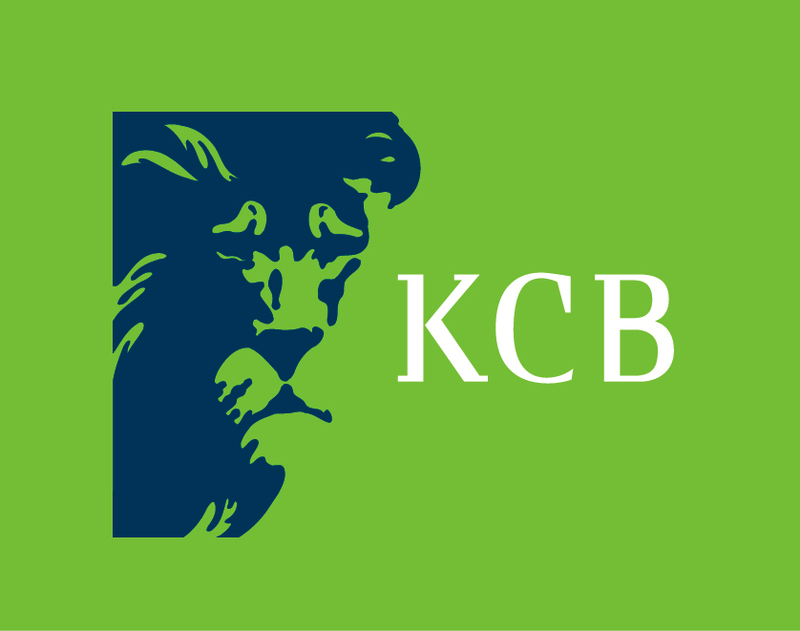 • Provide regular insight into actual and potential KCB Bank’s market opportunities, with reference to KCB Bank’s own strengths and weaknesses, and strategic direction. • Ensure the customer journey across all our digital assets is consistent with our brand. • Concept development, production and strategic publication of all forms of digital content. • Internal communication through preparation and publication of internal E-Newsletter. • Digital channels (Facebook, Twitter, Instagram, and LinkedIn) community management including audience growth and publication of content. • Publication of shareable brand and organic content on the bank’s digital platforms and purchase of media. • Monitor and engage in relevant social discussions about our company, competitors, and/or industry, both from existing leads and customers as well as from brand new audiences. • Drive consistent, relevant traffic and leads from our social network presence. • Provide business justification for marketing strategies through the development of creative tactics with financial justification. • With support from the Head of Products and Marketing, define annual/seasonal digital campaigns. • Identify trends and insights, and optimize spend and performance based on the insights. • Device marketing strategies that align with business goals and industry trends. • Recommend digital and traditional product enhancements as per analysis and insights from competitor product research. • Management bloggers relationships to enhance working partnerships. • Management and reporting of PR events media coverage through all digital communication channels. • Other duties that shall be given as demanded by the business. The following metrics will be used to measure performance but the actual numbers will be detailed in the individual job holder’s objectives. • Quarterly E-Newsletter content to be compiled and complete by the 15th day of the last month of every quarter. • A structured approach – creative and innovative individual. • Team player with all-round passion for all activities in digital marketing. • Strong evaluation, communication and reporting skills. • Able to provide advice and cause/effect evaluation to support business decision making. • Independent and logical thinker, yet an achiever and implementer. • Builds relationships and networks easily. • Strong service ethics as the tasks can go beyond normal working hours. • Versatility in working effectively with others.